Now this seems like a pickle more than anything else, as the Nexus 5 stares face-to-face with its competition in the Moto X – a device, much like the Nexus, has strong influences straight from El Goog. You’d think that the Nexus 5 would’ve been commissioned by Motorola, a Google company as it’s painted, but that’s not the case, since LG has once again been given that prestigious opportunity. Nevertheless, the two companies have been hard at work with their offerings, so let’s jump in to see how they compete against one another! Without question, the Moto X sports the more attractive design, attentive even, since it stands out proudly for its customizability, ergonomic aesthetics, and compact feel in the hand. Both are comprised out of polycarbonate plastic, which help to give them a lightweight feel, but yet again, our eyes stay glued to the bright and palatable color options that are available with the Moto X. Well, it’s not bad either with the Nexus 5, especially when there are certain financial limitations placed on it. It shouldn’t surprise you folks that we take a considerable liking to the larger 5-inch 1080p IPS LCD display of the Nexus 5 – more so than the 4.7-inch 720p AMOLED screen of the Moto X. Not only is it larger in size, but its higher resolution helps to give the Nexus 5’s display way sharper visuals and clarity. 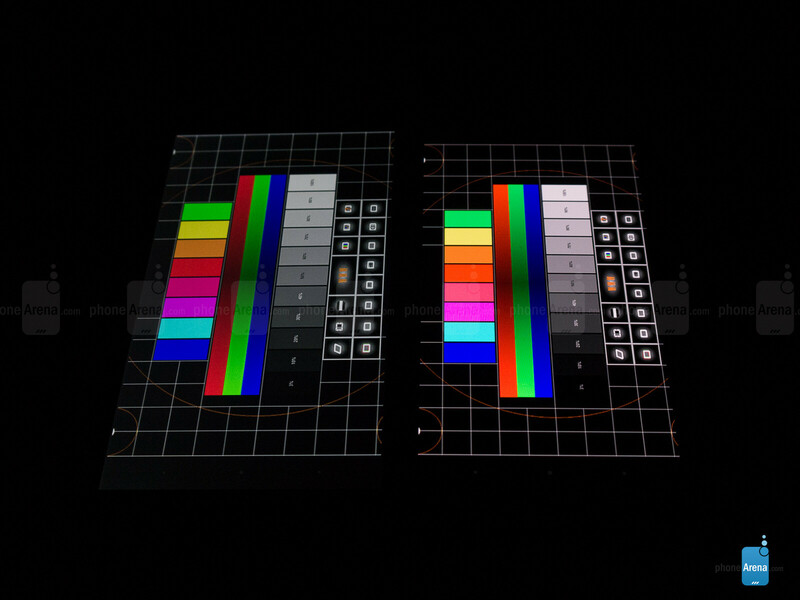 On top of that, its color reproduction is more natural in tone. In contrast, it’s saturated with the Moto X, which is the typical characteristic of AMOLED. And finally, we find the Nexus 5 to offer the superior outdoor visibility as well – and that’s despite that viewing angles are better with the Moto X. Well I ordered my N5 but Google should have opted for a higher capacity battery and stereo speakers. agree? Judging from the report of "Robotic Tones" in the Call Quality department on the Moto X i don't think you guys updated your Moto X... i'm getting a Moto X Thursday probably. John didn't update his Moto X for the iPhone 5S comparison, so who knows. Robotic tones has been something I've heard enough from reviewers and other people over the course of Motorola's history that I believe it. The update fixed choppy audio, not robotic tones. The robotic tones are a sacrifice Motorola makes in order to make for better clarity and reception, just like the fact that their radios skirt safe limits imposed by the FCC. I personally have never noticed enough to be bothered by robotic tones or increased radiation output. Now if you'll excuse me, I have to go feed my tumor. The Nexus 5 is a beast of a phone. so far I have no issues with the sound, and the speed blows my SG3 away. The antenna is stronger, the speaker is also louder than my SG3. I am now waiting for a Note 4! Moto X PALES in comparison to Nexus 5 in every possible way. 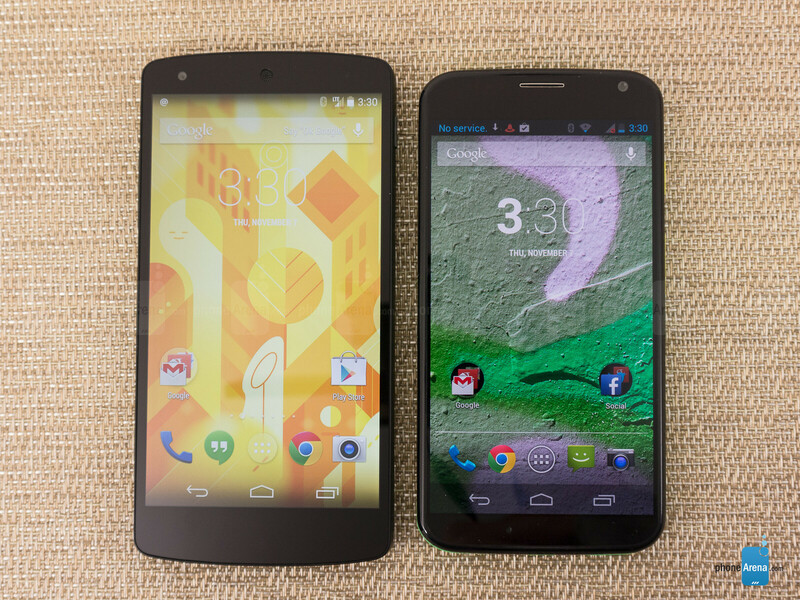 Even without considering pricing, Moto X doesn't stand a chance against Nexus 5. Clearly you havent seen the difference in pictures these to take. And good luck getting Google Now to react to you without picking up the phone. Motorola should lower the price of Moto X.
I just wish the N5 had goggle now capabilities when the screen is off just like the moto x. seems like it should since it is a Google Nexus device.. oh well. 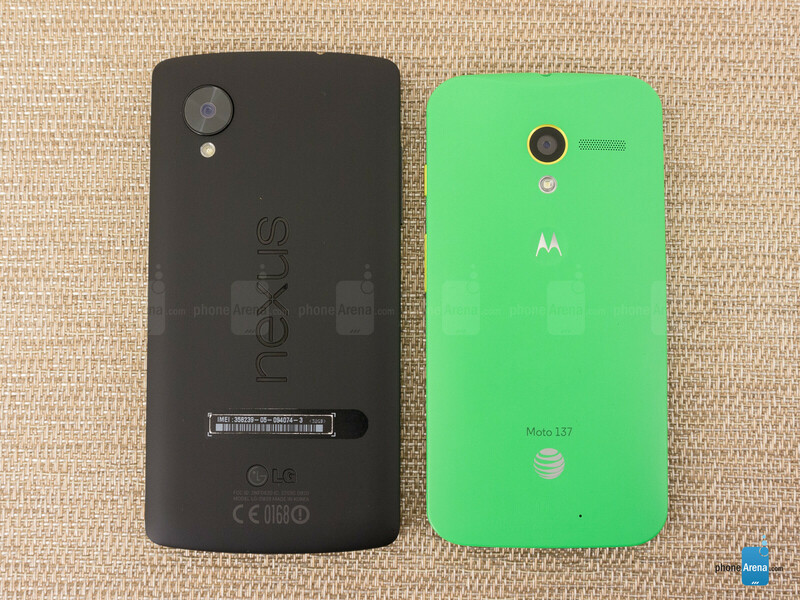 They are both solid, but I'd take the Moto X any day over the Nexus 5. The Moto X has a better battery and a stronger antenna. The slightly better "performance" difference that the Nexus 5 has over the Moto X wouldn't be important to most users. Like someone else here said already, Nexus devices would really be amazing if Google gave them bigger batteries. I've also owned both phones. I like the Moto X much better. say... In my area moto x is cheaper than nexus 5 so should I go for moto x or nexus 5?